Q: There is such deep empathy in GILEAD for the pastor and the preacher. What attracts you to pastors? What do you appreciate about them? A: There are several sources for my appreciation of pastors and the way they are described in this book. One of them is reading history and realizing that they had a profound creative impact on the Middle West and the settlement of the Middle West. I was very interested in that. They established many wonderful little colleges, like Oberlin and Grinnell and so on, which were explicitly religious establishments in the first instance and were established in order to promote women’s rights, antislavery, universal literacy — many excellent things. Then, of course, there is the fact that I am interested in Scripture and theology. This is an interest that I can assume I would share with a pastor, so that makes me a little bit prone to use that kind of character, perhaps, just at the moment. Then there is also the fact that, having been a church member for many years, I am very aware of how much pastors enrich people’s experience, people for whom they are significant. I know that it’s a kind of custom of American literature and culture to slang them. I don’t think there is any reason why that needs to be persisted in. Q: John Ames, the Congregational minister in the book, is a very theological thinker, and you have mentioned your own interest in theology. If you had to explain it to someone, what is theology and what does it mean to think theologically? A: It’s a difficult thing to describe theology, what it means and how it disciplines thinking. Certainly, theology is the level at which the highest inquiry into meaning and ethics and beauty coincides with the largest-scale imagination of the nature of reality itself. Often, when I want to read something that is satisfying to me as theology, what I actually read is string theory, or something like that — popularizations, inevitably, of scientific cosmologies — because their description of the scale of things and the intrinsic, astonishing character of reality coincides very beautifully with the most ambitious theology. It is thinking at that scale, and it is thinking that is invested with meaning in a humanly evocative form. That’s theology. Q: Is there a connection to poetry, too? John Ames is also steeped in the religious poets, and he mentions John Donne and George Herbert throughout the novel. A: I think the connection between poetry and theology, which is profound in Western tradition — there is a great deal of wonderful religious poetry — both poetry and theology push conventional definitions and explore perceptions that might be ignored or passed off as conventional, but when they are pressed yield much larger meanings, seem to be part of a much larger system of reality. The assumption behind any theology that I’ve ever been familiar with is that there is a profound beauty in being, simply in itself. Poetry, at least traditionally, has been an educing of the beauty of language, the beauty of experience, the beauty of the working of the mind, and so on. The pastor does, indeed, appreciate it. One of the things that is nice about these old pastors — they were young at the time — who went into the Middle West is that they were real humanists. They were often linguists, for example, and the schools that they established were then, as they are now, real liberal arts colleges where people studied the humanities in a very broad sense. I think that should be reflected in his mind; appropriately, it is. Q: You write that a good sermon is “one side of a passionate conversation.” Could you say more about what you meant by that and why you value the sermon as a form of discourse, especially in this pretty inconsolable and demythologized age of ours? A: I think we have demythologized prematurely, that we’ve actually lost the vocabulary for discussing reality at its largest scales. The idea that myth is the opposite of knowledge, or the opposite of truth, is simply to disallow it. It is like saying poetry is the opposite of truth. A sermon is a form that yields a certain kind of meaning in the same way that, say, a sonnet is a form that deals with a certain kind of meaning that has to do with putting things in relation to each other, allowing for the fact of complexity reversal, such things. Sermons are, at their best, excursions into difficulty that are addressed to people who come there in order to hear that. The attention of the congregation is a major part of the attention that the pastor gives to his or her utterance. It’s very exceptional. I don’t know anyone who doesn’t enjoy a good sermon. People who are completely nonreligious know a good sermon when they hear one. One of the reasons that I think that a sermon is a valuable thing now and so impressive when you do hear a good one — and there is a lot of failure in the attempt; it’s a difficult form — is because it’s so seldom true now that you hear people speak under circumstances where they assume they are obliged to speak seriously and in good faith, and the people who hear them are assumed to be listening seriously and in good faith. This is a kind of standard of discourse that is not characteristic of the present moment. I think that it makes a sermon, when it is a good sermon, stand out in anyone’s experience. Q: John Ames knows his hymns, too; he knows his Isaacs Watts, and so do you. What do you think about Protestant hymnody, and what role does it play in the language of GILEAD? A: One of the things that is wonderful about hymns is that they are a sort of universally shared poetry, at least among certain populations. There isn’t much of that anymore either. There are very few poems people can recite, but there are quite a few hymns that, if you hum a few bars, people can at least come up with two verses. Many of the older hymns are very beautiful. Isaac Watts, of course, is a hymn writer in the tradition of Congregationalism who lived in the seventeenth and early eighteenth century. He is very interesting and important because he was also a metaphysician. He knew a great deal about what was, for him, contemporary science. He was very much influenced by Isaac Newton, for example. There are planets and meteors and so on showing up in his hymns very often. But, again, the scale of his religious imagination corresponds to a very generously scaled scientific imagination. It makes his hymns continue to have a spaciousness and resonance that locates, for me, the religious imagination in a very beautiful way. Q: Catholics speak about “the Catholic imagination.” Is there such a thing as the Protestant imagination? A: Oh, I think there is. Protestantism, of course, is much more explicitly divided into different traditions — the Pentecostals, the Anglicans. But there is the main tradition of Protestantism that comes out of the Reformation and that produced people like Kant and Hegel and so on, who are not normally thought of as being people writing in a theological tradition, although Hegel, of course, wrote theology his whole life. I think, frankly, that his PHENOMENOLOGY OF SPIRIT is theology, too. When the Reformation became established, one of the things that was a question between Catholicism and the Reformation traditions was whether there was a hierarchy of being. If you look at Thomas Aquinas, for example, you have hierarchies of angels and all the rest of it, and hierarchies even of saints and then subsaints — people who aren’t quite there, that sort of thing. The Reformation rejected all of that and created a new metaphysics, in effect, that is not hierarchical. The idea that the universe itself is physically structured around hierarchy was sort of an integration of earlier science and theology that was made by people like Thomas Aquinas, that was assumed doctrinally in that tradition. The Reformation rejected that model of reality and created a highly individualistic metaphysics in the sense that it located everything normative that can be said about reality in human perception, there being, of course, no other avenue of knowing. There is Scripture, there is conscience, there is perception itself. If you read Calvin, for example, he says, How do we know that we are godlike, in the image of God? Well, look at how brilliant we are. Look how we can solve problems even dreaming, which I think is true, which I’ve done myself. So instead of having an externalized model of reality with an objective structure, it has a model of reality that is basically continuously renegotiated in human perception. I think that view of things is pretty pervasively influential in Protestant thought. 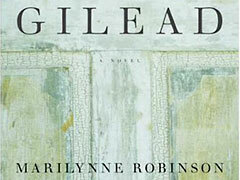 Q: Is GILEAD on some level a novel about “being Christian,” about what it might mean to live a Christian life? A: I think I can guardedly say yes. The fact is, being who I am, my definition of human life is perhaps not readily universalized. But I hope that it is not a narrow view of human life itself. I don’t have the feeling that people need to be Christian in order to understand what the novel is and what it means and so on, to recognize it’s about father-son relations, or parent-child relations. In the New Testament, of course, that’s the major metaphor for the situation of a human being in the world relative to God. I think that, in using that metaphor, the New Testament is appealing to something that people profoundly and universally know: what it is to love a child and what it is to love a parent. So that’s a big subject in the book. Q: You’ve written some about mysticism and mystery and an attraction to the mystical. What might mysticism have to do with your writing and your own religious life? A: I find the whole question of mysticism, piety, religious life, and so on very mysterious. I know that’s an evasion. I go to church every Sunday, unless I’m away or something. I am profoundly influenced in my thinking by religious concepts. I know this. I don’t know what piety means, in a sense. I feel as if I would be presumptuous claiming it. I feel that way often when people ask me about religion. Of course, mysticism is very hard to isolate because, given the kind of consciousness that I was sort of instructed in as religious consciousness; that borders on mysticism so closely that it’s hard to know whether you qualify or not, or whether mysticism is artificially isolated when it is treated as a separate thing from experience. Obviously, mysticism can be a form of madness, but then consciousness can be a form of madness. Q: It sounds like something John Ames might say. How much distance is there between him and you? A: I think quite a lot, actually. That’s another thing. What do you know about yourself? One of the things about writing fiction is that you create people that you feel, more or less, as though you know. By contrast, you realize that you really don’t know yourself terribly well at all. I’ve put him in a very particular situation — leaving his life, leaving a child, and so on. These things aren’t my experience yet, God forbid! In any case, his situation is exceptional — from my point of view, invented. Then his thinking is generated out of his situation. It’s perfectly possible that if I can imagine myself in his place, I would think in that way, but it’s never been my circumstance to do that. Q: What has been your own experience of pastors — their influence on you, relationships you have had with ministers like John Ames or others? A: I really can’t claim ever to have had an exceptionally close relationship with a minister. I’m always there. I pay my pledge. I listen and observe with interest. I’m very sympathetic with the rigor and the aesthetic quality of what they do. Aside from that, I don’t have a kind of personal experience with any of them that I could consider privileged, so to speak. A long time ago, when I was a little girl, I went to church with my grandfather on Easter Sunday, and I heard a sermon that I have thought about for years and years. I don’t know why it was so impressive to me, although the church was beautiful, with the emphasis that Easter gives. I think that probably that sermon and the memory of it was more important for crystallizing my sense of pastors and church and all the rest of it than any other single experience. Q: You wrote about that in one of your essays in THE DEATH OF ADAM (Houghton Mifflin, 1998). At the time that collection was published, you said you wanted to “change the conversation” about modern American culture and society. Has that happened? Has the public conversation changed at all to your satisfaction? A: It has changed to my dissatisfaction, as a matter of fact. The public conversation has changed in ways that I am not at all pleased by. Perhaps I had the slightest impact in keeping it from changing more radically in ways that I don’t approve of, but at present I can’t claim to be pleased. You know, at one time we did some fairly unique things in this country for very interesting reasons. One of the things that we did was create bankruptcy laws that made it so that people who fell into bankruptcy were not ground into the earth for the rest of their lives. Isaiah calls it “grinding the faces of the poor.” The reforms were about simultaneous with the Second Great Awakening. We inherited British law, which is like the new “reforms” that are being made now, in the sense that people are permanently entrapped in debt, if they once fall into bankruptcy. The reason that the law was changed in American history — the whole early period of the formation of the country was moving away from British law into a law that is generated here and that conforms to the sense of what is appropriate here. 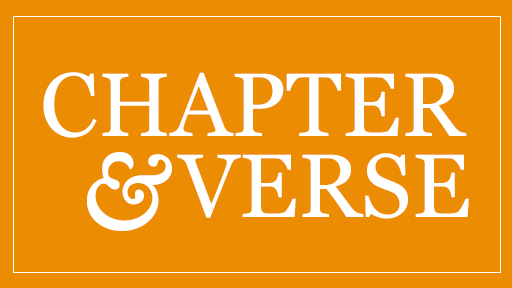 The model for our early bankruptcy laws was Deuteronomy, the idea that, under certain circumstances — in Deuteronomy, it is simply the passage of seven years’ time — people are released from debt, simply because they are released from debt. No more debt. You start over again. This has been a very powerful model in this country. It’s being destroyed now. People talk about how much new employment, new wealth, and so on are continuously generated in this country. One of the reasons for that is because people can afford a risk. And the reason for that is because bankruptcy laws were written which prevented people from being permanently entrapped in poverty. If we knew what we had done, and we knew why it was done, there could be some conversation about these changes that are being made today. But there is no conversation, because nobody knows the history behind what we are giving up. Q: One writer has said that perhaps our sacred scripture is the novel. I wonder what you think about that, and what fiction writing and the novel might have to do with the life of faith. A: The novel has more to do with the life of faith in some cases than in others, shall we say. I sometimes am discouraged by what seems to be a sort of conventional disparagement of humankind. I think often people feel that they are doing something moral when they are doing that, but that’s not how I understand morality. I much prefer the “everyone is sacred, and everybody errs” model of reality. I am delighted if people find that kind of sustenance in novels, but perhaps it’s because they don’t read the Scripture that they are comparing it to, which would perhaps provide deeper sustenance than many contemporary novels. The Bible for me is holy writ. It’s a very straightforward thing, although I am not a literalist. Literalism is a very bizarre phenomenon. Many people are literalists about, for example, the King James Version, which was published in 1611. Anybody who has ever translated anything knows that there is no reason to be literalistic about a translation. Anybody who has read any biblical scholarship knows that every scholar struggles over completely intractable problems with the original texts, or what they have to work from. It’s one of the great, powerful, mysterious objects that have come down through history. This does not translate into literal interpretation for me. Q: How does the Bible inform the plainness and stateliness of the language in GILEAD? A: I have taught Bible at the Iowa Writer’s Workshop several times. It’s something that writers feel that they need to know, no matter what their religious evaluation of it is, or the traditions they have come from. It’s always fun to read anything together with writers, because they are very sensitive to things that you might otherwise overlook. One of the narratives that is extremely beautiful and efficient and powerful is the narrative of David and Absalom in Second Samuel. I think that had a lot of influence on my thinking in this book — Absalom, of course, being the son of King David who betrays him and so on. There is an indubitable emotional power in many of the narratives in the Bible that return one to extremely basic emotions — about fathers and sons in that particular case. I think that often scriptural language is used almost ornamentally. I think that its effect is greater if its accomplishment as narrative is taken more seriously — how complex these things actually are and how straightforward at the same time they are: “Absalom! Absalom!” I hope that, in some degree, I have been influenced by that. The Bible is so pervasive in English-language literature that I think that people actually allude to it, or feel the resonance of it, without having any idea what it is that they are feeling. Q: Do you read any contemporary theology? Has there been anyone since Paul Tillich and Reinhold Niebuhr who you think has advanced theological thinking? Is it all just about the theological past and retrieving what has been forgotten? A: A lot of it seems to be written with that project in mind. That perhaps is the characteristic posture — that theology is written as retrieval. In many cases, this is the impetus behind the Reformation, after all, to try to reach back to a more authentic Christianity and so on. Over and over again, this is done. I can’t really keep abreast of things well enough. I read over too wide an area as far as time is concerned to be up on many contemporary things, but my favorite theologian of the relatively recent period is Karl Barth, who died in the late ’50s, who was a very honorable figure relative to the rise of Hitler and so on — he and Dietrich Bonhoeffer, who was another great theologian. They were both very serious people. I have a feeling that there has been a pressure away from seriousness in much modern thought, as if we could sort of scale reality down to a size that we are more comfortable dealing with. That might be a prejudice, but I feel that we have not come up to the standards of seriousness that others have reached at earlier moments. The loss of seriousness seems to me to be, in effect, a loss of hope. I think that the thing that made people rise to real ambition, real gravity was the sense of posterity, for example — a word that I can remember hearing quite often when I was a child and I never hear anymore. People actually wanted to make the world good for people in generations that they would never see. It makes people think in very large terms to try to liberate women, for example, or to try to eliminate slavery. Of course, we have recrudescence of slavery all over the world now. It’s sort of, “Well, we won’t think about that. It’s too bad.” I’m really disturbed by the degree to which I don’t hear people saying, “Are we leaving the world better than we found it?” I think we are a generation that perhaps could not answer in the affirmative, and it is the evasion of the larger responsibility of being only one generation in what one hopes will be an infinite series of fruitful generations. There is a selfishness in refusing to understand that we are passing through; others will come, and they deserve certain courtesies and certain considerations from us.